Once the confectionary supplier to the Habsburg court, Demel has been synonymous with tradition and opulence since the 19th century, when it moved to its current location steps from the Hofburg Palace. Today, it’s the perfect spot to do some window shopping and cake tasting in the former imperial section of Vienna’s Innere Stadt. The Konditorei’s window displays are elaborate and awe-inspiring. The massive and intricate cakes on view are a reminder of Demel’s expertise in the world of confectionary art. If that isn’t impressive enough, prepare to be completely overwhelmed by the selection of cakes, chocolates, and sweets inside. 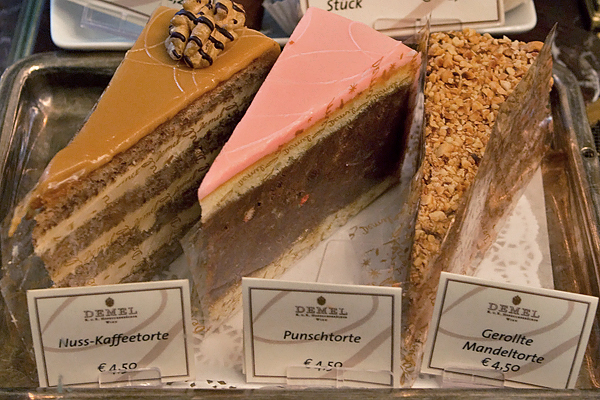 Though they are not labeled as such, Demel does bake a handful of gluten-free cakes. Be sure to ask the knowledgeable staff what’s available that day. 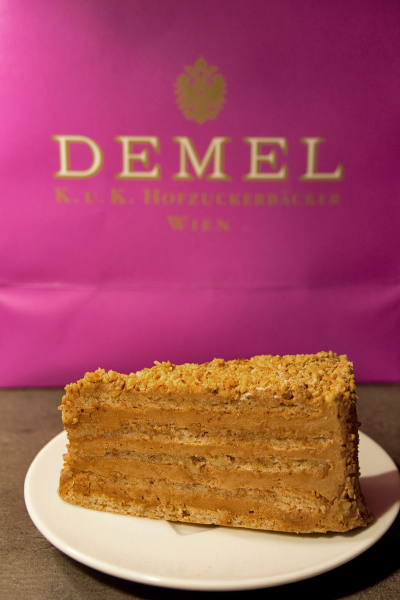 At Demel gluten-free offerings regularly include Esterházy cake and Gerollte Mandeltorte, both incredibly delicate and rich. If it’s available, opt for the Mandeltorte, unique to Demel and made from a mind-boggling number of layers of almond cake and boozy buttercream. Eat in to enjoy the ambience or take away in one of Demel’s signature purple bags. 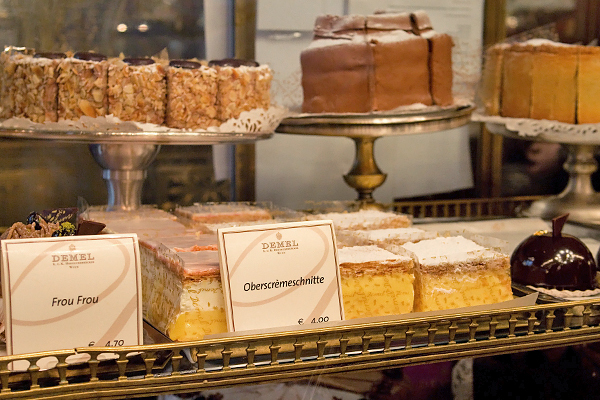 Either way, don’t miss this historically delicious spot for cake in Vienna! Where? 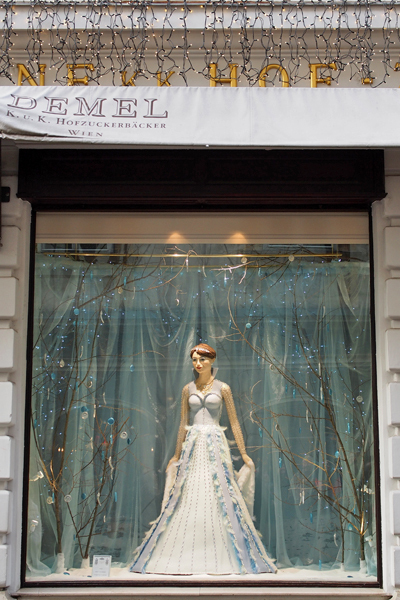 Demel is located in Vienna’s Innere Stadt: Kohlmarkt 14, Wien (+43-1-53517170). Can you tell me whether there is cross contamination of the gluten free offerings? I have celiac disease and am pretty sensitive to small amounts of gluten. The gluten-free cakes here are made in-house, and the bakery is not an exclusively gluten-free environment. If you’re very sensitive, unfortunately, I would advise against ordering one of the cakes on display. Instead, try contacting the bakery by email or phone, placing a special order, and informing the baker of your needs. I hope you get to try one of these cakes!